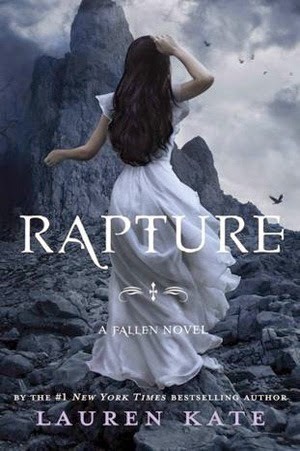 This book follows the continuation of Luce and Daniel as they struggle to figure out how to break the curse which involves finding the relics to show the point of the fall, that along with Luce finding out who she is and what choice to make. Along the way they team up with The Outcasts which surprises everyone as The Outcasts have not exactly gotten along with the Angels up till now. This book had so much going on, you got to see Luce really come into her own element and certain characters sacrifice everything for Luce and Daniel's mission. I loved this series so much the up and downs the choices they had to make and their connection between each other. It was such a great read that anything I say won't match up to the awesomeness that Lauren Kate created. She is definitely a mastermind when it came to the Fallen series! Definitely one you could go back and re-read at any point without missing anything and the ending was so great I just loved it! The first story in this takes place in Medival England it follows Miles and Shelby who are looking for Luce to bring her to Daniel. While there they meet up with Medival Luce who has at this point met Daniel and lost him as she is not the proper lady he could marry but a farmer's daughter. 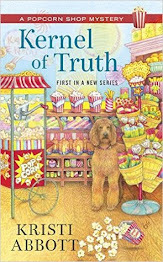 With the promise of finding Daniel and bringing him to Valentine's Day faire they leave Luce and decide to buy things for Luce and Daniel to help them reconnect with each other. 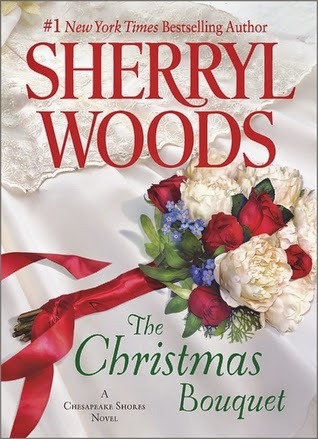 In the midst of this Shelby and Miles find they are falling in love with each other and buy one another a Valentine's Day token for Shelby it's gloves and for Miles it's his missing Dodgers cap he losses in the beginning of the book. There they share a special kiss that shows they are on their way towards love. The next story is about Roland who is parading around England as a knight. There Roland encounters the girl he loved Rosaline and how he left her when he realized that their love wouldn't work. I really enjoyed Roland's story about how he loved this girl with his whole being but even that wasn't enough in the end when Cam points out what Roland knows that this love isn't meant to be as Roland is an Angel and Roseline is a girl a human girl and their relationship won't work. He goes to see Rosaline to see what has become of her to find she is married and expecting and Roland does the only thing he can insure that her husband stays home instead of heading off to war. The third story is of Arianne still taking place in England in Medival times. Arianna is spending her time milking a cow for a family and spending what time she can with her love Tess. When Arianna finds out that Lucifer wants Tess back Tess asks Arianne to make a huge sacrifice to give up heaven for hell one decision Arianne can't make. 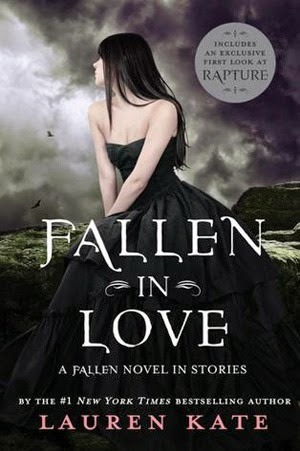 No matter what the stakes Arianne can't give up Heaven even if she is a fallen angel. Tess gets enraged by this and does everything she can to convince Arianne that they can be free to be together in Hell. The Last story is about Luce and Daniel their story takes place in Medival England on St. Valentine's Day. It takes place during the Valentine's faire and Luce is searching all over for Daniel, even stumbling across Cam at a dance when finally Daniel appears and the two rush off to a secluded area to have their first Valentine's Day together. I really enjoyed reading the various stories to see some of the history between the Angel's and the ones that they loved. It was refreshing not just be focused on Daniel and Luce! Everything has been built up for this battle between the Fallen Angels and Nephilim with Nora being right in the middle, she has to get the Nephilim to realize she is on their side while also keeping everyone from fighting. Many of the Nephilim don't buy that Nora is ready to pick up where her father left off. Is Nora really ready to start a battle or just doing a good job of faking it to keep her and her mother alive? This book had what you normally expect from Becca Fitzpatrick the love story with Patch and Nora, a lot of whinning from Nora which seems to be her m.o lately. A battle between angels and Nephilim and Nora try to keep her and her mother alive. We also see a strange relationship between Nora and Marcie the girl we love to hate. Something did feel off in this book and I'm not sure what it is but I have noticed others say it was missing something too. I can't put my finger on what it is but something just fell short in this story unlike the other ones. It could be Nora's endless complaining about not being ready to fight or something else I really don't know but for Hush Hush fans I think the story does wrap up nicely! 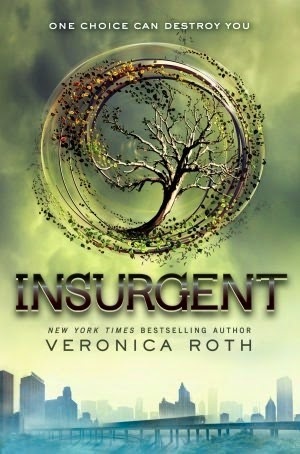 In this book Tris is still fighting to save those she loves while not loosing anymore people than neccessary. We also meet Tobias's mother who's factionless and see more of his father and discover what is behind the wall. What is being hidden from them? And to what price will some pay to discover the secrets being hidden there? Oh my god all I can say is that I'm really glad I have the last book in this series to read next or else I'd be going nuts wondering what is going to happen now. This trilogy is so great it pulls you in and wants to really leave you hanging with so many questions. I read this book in one day and couldn't put it down. 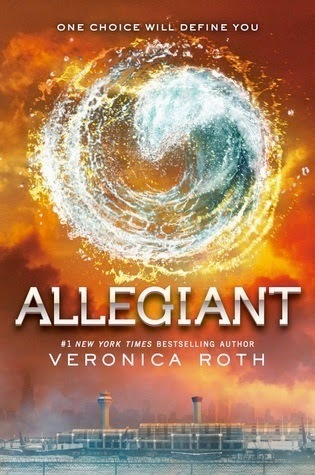 Ms. Roth has really hit on something great with this trilogy the ability to write about something like Divergent and not get it tangled up with love triangles, or your typical dystopian she went way beyond that and offered us a great story that you can't help but want to continue to see how it ends! Can't wait to read the last book in the trilogy! When former pro football quarterback Aidan Mitchell comes to Chesapeake Shores to take a high school coaching job, he's embraced by the town—especially the O'Briens. But Aidan has a secret that could alter all their lives. 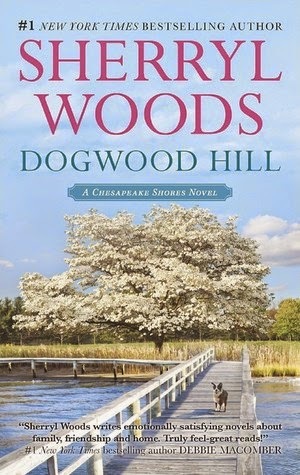 This book introduces two new characters to Chesapeake Shores both characters hiding a secret. 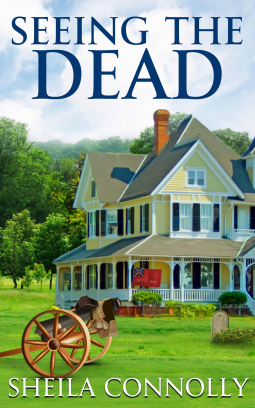 Liz March is trying to move on past the death of her husband but there is something there she isn't saying about what happened with her husband. Aidan Mitchell comes to Chesapeake Shores to coach the football team hoping that maybe they can change their loosing streak. His secret becomes known to the reader pretty quickly. How will Aidan deal with his connection to the O'Brien clan and will his secret destroy them? I enjoyed reading about these two characters they were new and fresh as we haven't heard much about either one of them. I loved watching these two push each other away as the heat between them kept heating up. We also got to see other O'Briens we haven't seen lately Jess and Will, Susie and Mac really was nice to read more about them as well. Definitely a fabulous series that just gets better everytime! 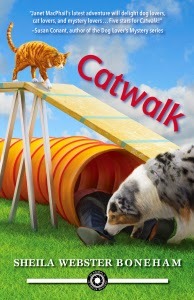 Janet has her work cut out for her in this book when she helps her friend catch a cat only to meet a very cranky Mr Rasmussen who seems to have a thing for hurting his wife. Unfortunately he has friends in high places and has set his eyes on getting rid of all feral cats in the area. It isn't long until Janet is served with a law suit over her find the cat. Also in this book we see more of Janet's mother who lives in a retirement community and is suffering from Dementia and getting worse everyday. Janet's mother has found love again with Mr. Rasmussen's father in law much to the anger of his son in law. He even threatens to send his father in law to a different community to keep the two apart. I loved hearing about Jay, Leo and the other felines and dogs. I loved watching the relationship between Tom and Janet and to see where it is headed. Overall it was a great book. The mystery in this book wasn't central to the situation, there seemed to be too much other stuff going on so it felt like a bit of confusion when I read the story. That is just my thought someone else may love all the little mysteries in the middle of it. That part of the story the little mysteries intertwined in the story felt rushed. I was so excited when I saw this book appear on NetGalley I had been having a romance withdrawal in regards to this family. I love their stories and was sad when they ended but alas they have been coming back and I'm eager to see what everyone is up to! In this book we get to follow Abby's daughter Caitlyn Winters as she has just found out she is pregnant with her boyfriend Noah McIlroy. This news changes everything Caitlyn had been working towards which was returning to Africia to help people who need medical care. Noah has plans that he wants to accomplish, Marry Caitlyn, have a family and set up a practice in Chesapeake Shores. What he didn't count on was how meddling the O'Brien's can be and how stubborn Caitlyn is being with her world changing. I loved seeing all those crazy O'Brien's back in the swing and not missing a step with the meddling. All of them in their own way are on a meddle overdrive situation with Mick at the helm of the crazy train. I loved watching Caitlyn and Noah try to figure out what they want and if they can get there together or not at all. I loved reading more about Caitlyn and Carrie and their relationship. I loved how Noah didn't pressure Caitlyn and let her come to her own conclusions and find her way to him, and decide that she can have it all even if it takes time to make that happen! 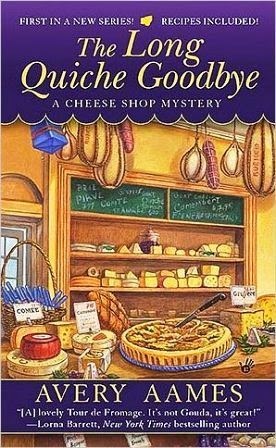 In this book we meet local Cheese Shop owner Charlotte Bessette, her cousin Matthew, his twin daughters and her grandparents. 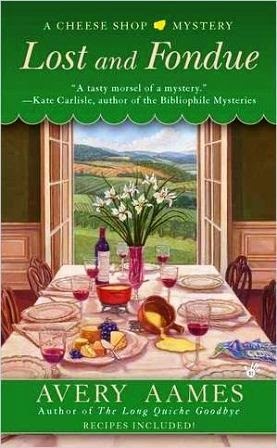 Early in the book Charlotte hosts a wine and cheese sampling and confrontations run high between Charlotte's grandmother and Kristine who wants to over take and become Mayor of the town claiming to fix all that is wrong. When Kristine's husband winds up dead all leads point to Grandmère Charlotte's grandmother who gets placed under house arrest. Unlike most cozy books this one seemed to have no shortage of suspects but not much on motive or means. Could it be Ed's wife Kristine finding out that Ed was doing shaddy deals? Or was it Meredith Charlotte's best friend who seems to have something to hide? Was it the museum curator Felicia who had a falling out with Ed? And who is the mysterious person having an affair with Ed? I liked the relationship between Charlotte and Rebecca it was such a great rapport between the two. They work well together in the shop. I also enjoyed how Rebecca convinced Charlotte to look into what was really going on! I also loved the references to various tv shows and mystery movies. I loved the relationship between Charlotte, Matthew and the grandparents it meshed well together. I also enjoyed the discussions on various cheeses and watching the romance between Charlotte and Jordan along with Matthew and his love interest. The big thing I wasn't a fan of and if it was me as Charlotte I'd want to really scream at Kristine about being so blind as to how her daughter was behaving towards other kids. Taking things her mother said and running at the mouth to Matthew's daughters and instigating situations where the twins looked bad and like trouble makers, but in the end it seemed to work out to a better situation by the end of the story. Also I think Kristine got a little extreme with the whole election coming up and making a fool over herself trying to sell out Grandmère as a murderer. Being under house arrest really made it impossible for her to fix her image and work on things as the mayor, but I enjoyed how it played out in the end! 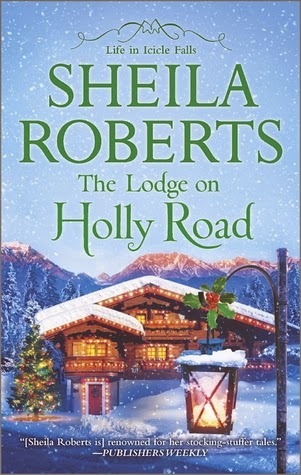 This was a great themed book when a bunch of various people all get together at the lodge owned by Olivia Wallace and her son Eric. James Claussen gets dragged to the lodge by his son and daughter a year after his wife's death her kids are hoping to make new Christmas memories even if their father is fighting it. Missy Monroe takes her kids to the lodge to give them a great Christmas treat being a single mom and hoping to move past her current situation and into a better one. There she meets John Truman who spends time with her and the kids until his girlfriend shows up where he plans to propose to her. Unfortunately in this book not everything goes as planned and new relationships are formed. Definitely a great adventure to go on with love in the air! I really enjoyed the different stories and watching various couples get together and form their own happily ever after, even romances that didn't seem to work out did in the end! This is the first book I've read in the Lady Justice series and oh my god I'm kicking myself for not getting into this series earlier. Our main chacter is Walt who is a cop and works with Ox as part of a retiree police program. They find themselves solving a few mysteries the first one being who's robbing the Salvation Army kettles. While this is going on someone is buying kidneys and using them on people who are sick and left with no hop but organ buying in order to save their families. 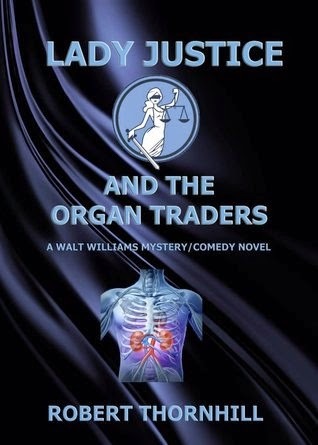 Early into this book Walt's brother in law shows up with his plea to his sister Maggie to donate a kidney to save his life. After alot of serious thought she decides to proceed but finds she isn't a match and her brother accepts his fate but also helps to bring down the Organ Traders. 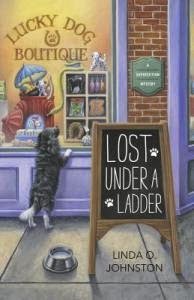 This book series is great just the right mix of mystery and adventure and humor mixed into a great story! 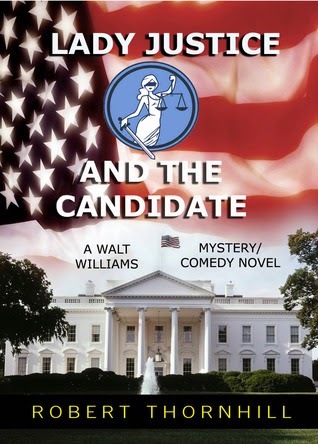 Definitely a series I will read more of right now I'm reading Lady Justice and the Candidate. Which should definitely be picked up right now as it is a free purchase on Amazon! This book was an interesting series that has to do with ghost sightings. Abby has been looking into her genealogy and trying to uncover information about ancestors when she sees a ghost during the Revolutionary War era. This is the first ghost she has encountered that her boyfriend Ned Newhall hasn't. Which leads Abby to want some down time from her boyfriend. Add to the fact that Patriot's Day is fast approaching and the town is busy scheduling all sorts of activities which makes Abby's search harder as she is needed at the museum and takes away from her research into her family. When Abby is asked to watch Ellie her boss's daughter she finds out how intutive Ellie is and her and Ned try to reach out to Ellie's parents about the situation. 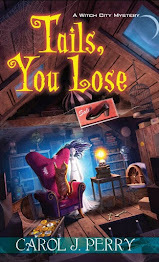 Will it work out for Ellie or will she be like Ned and have to keep her ghost seeking to herself? Will Abby ever find out about her ancestors or is she searching dead ends? I liked the relationship between Sarah and Abby, for those that haven't read this series yet Sarah is Ned's mother and another ghost viewer who Ned inherited it from. I also enjoyed the relationship between Ellie and Abby and how Ellie seemed like an old sort of spirit who knew things she shouldn't like Abby's ability to view ghosts. I also enjoyed the whole research angle of finding out the history behind the ghosts that appear to Ned, Sarah, Abby and Ellie. Which could just be me but Leslie, Ellie's mom her initial reaction to Ellie's situation I thought felt harsh, do I expect her to welcome this will open arms, no in a perfect world maybe but in this instance it seemed really harsh cause who really knows what kids see or don't see or their impressions. Then again I also wasn't a huge fan of the whole situation between Ned and Leslie just seemed like trying to make a connection deeper that what I think they have. Who knows what anyone would do with a situation like theirs, which I know tells the blogger readers (you guys) not much on what the 'situation' is but I don't want to give it away, read the book and you'll get the big 'situation'. I would definitely recommend this book for people who like ghost themed books, New England towns etc. I think you won't be disappointed.